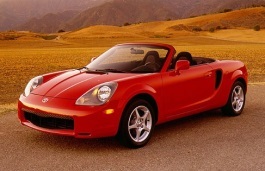 Correct Wheel Sizes, PCD, Offset, Rims and Tire specs for Toyota MR2 Spyder series. 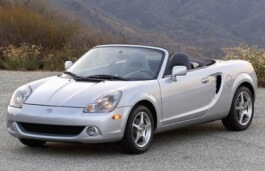 Incorrect rim/tyres listed for 2003 MR2 Spyder. The "Facelift" model introduced late 2002, had 215/45-16 REAR tyres on 16 x 7JJ rims. All Spyders after that used these on the rear.